We have our first blog review! Thank you Sophie Goodwin for your fantastic and fair opinion about our “Taste of Spain” supper club. 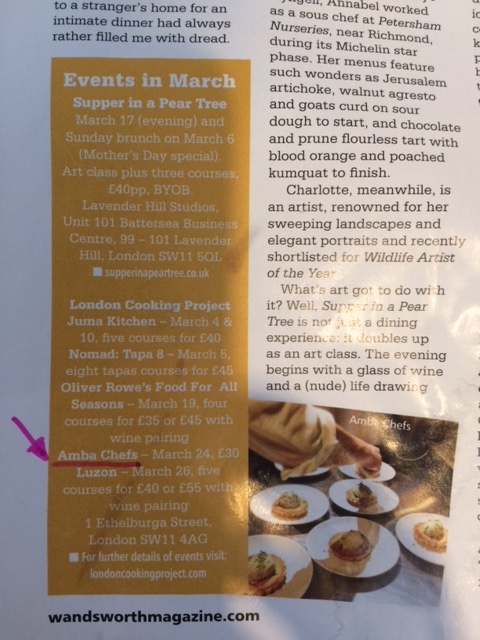 Our supper club was also mentioned on the local Battersea Wandsworth Magazine.